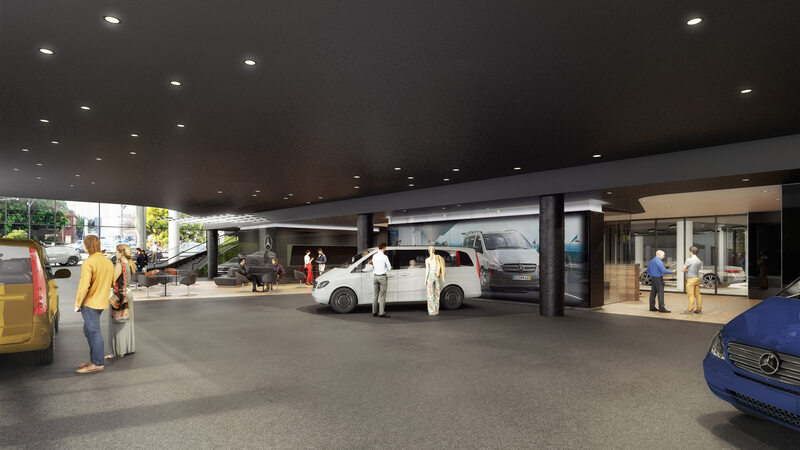 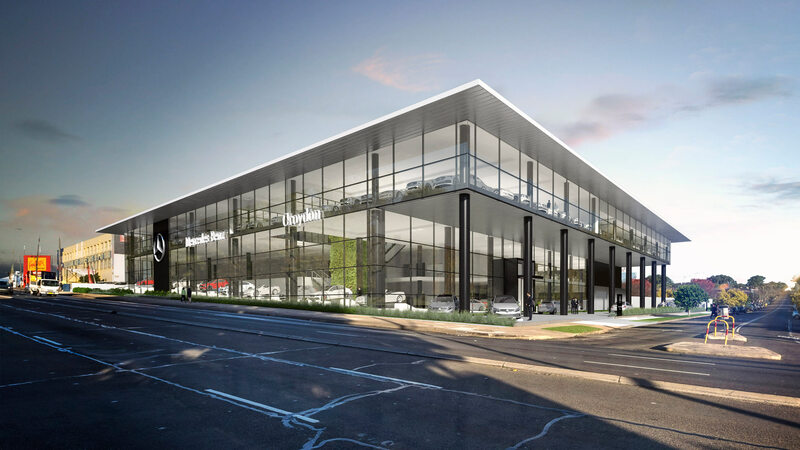 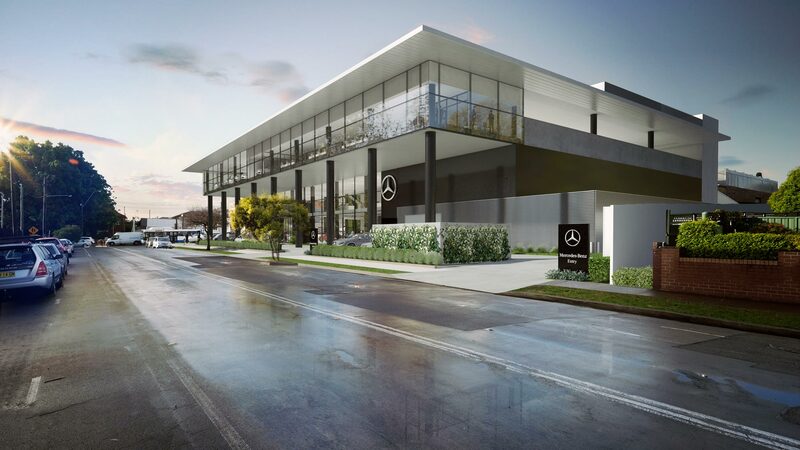 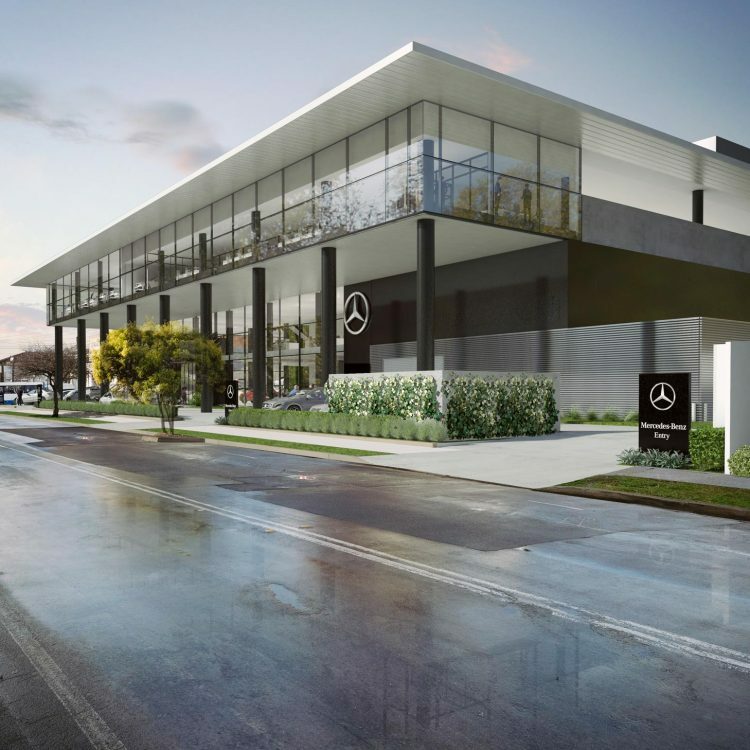 Mercedes-Benz Croydon is a new prestige automotive showroom located on Parramatta Road serving Inner West Sydney. 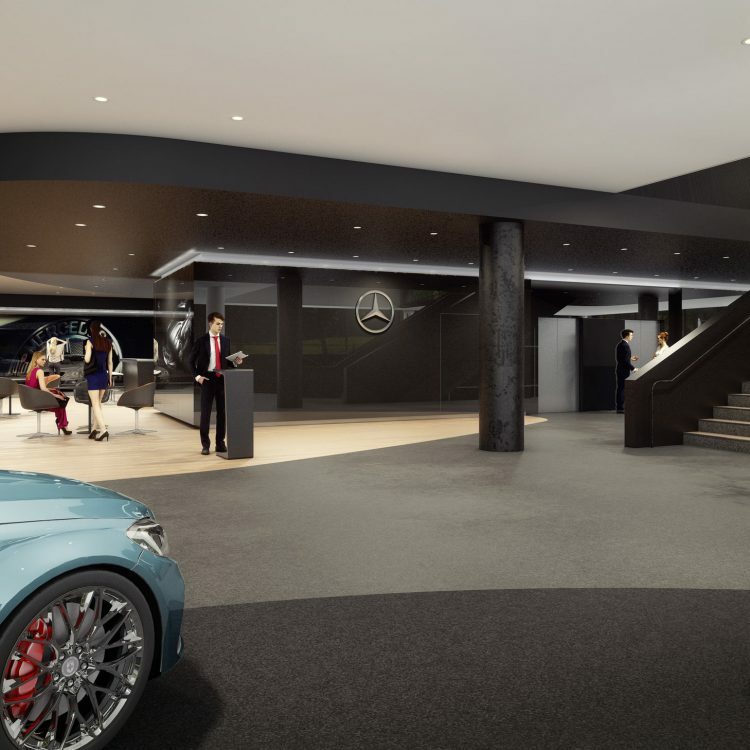 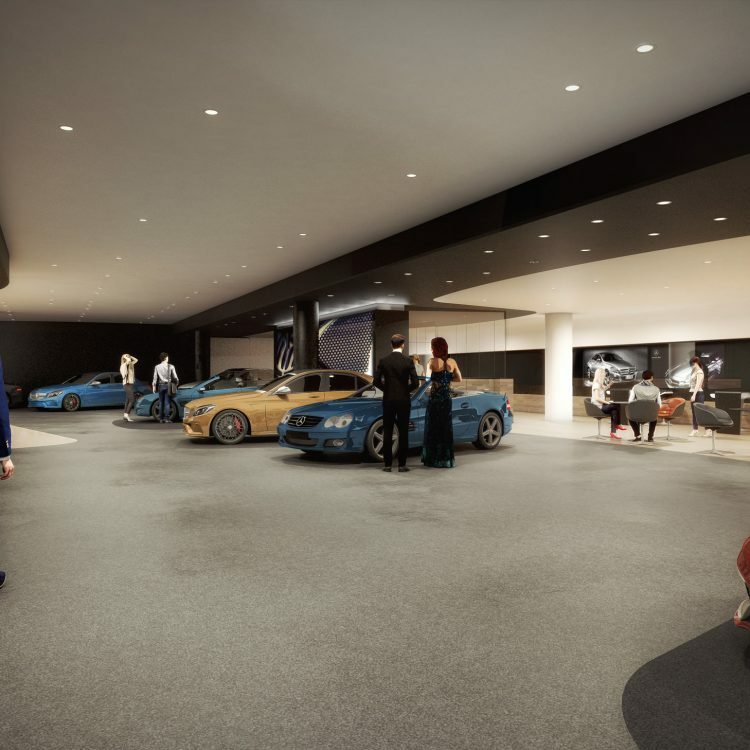 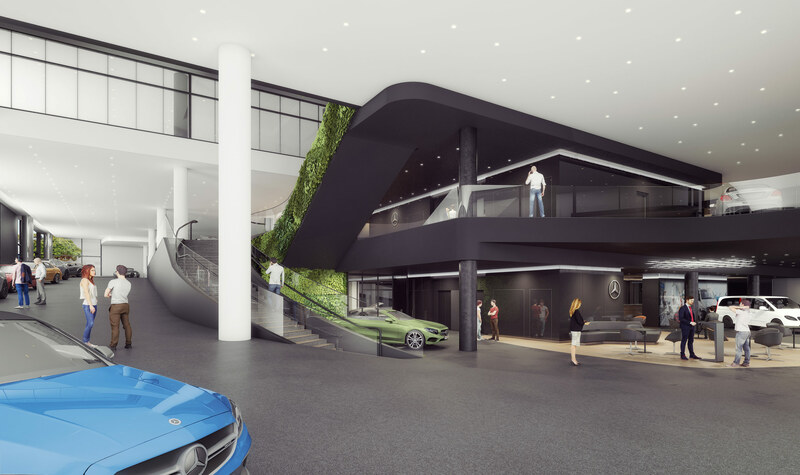 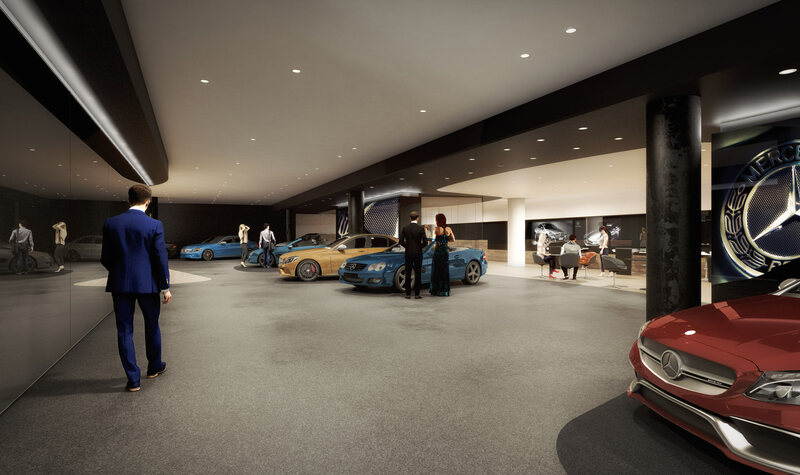 The project program includes three floors of showroom, customer lounges, a service centre with 39 workbays, parts store, boutique retail, staff areas, administration and amenities. 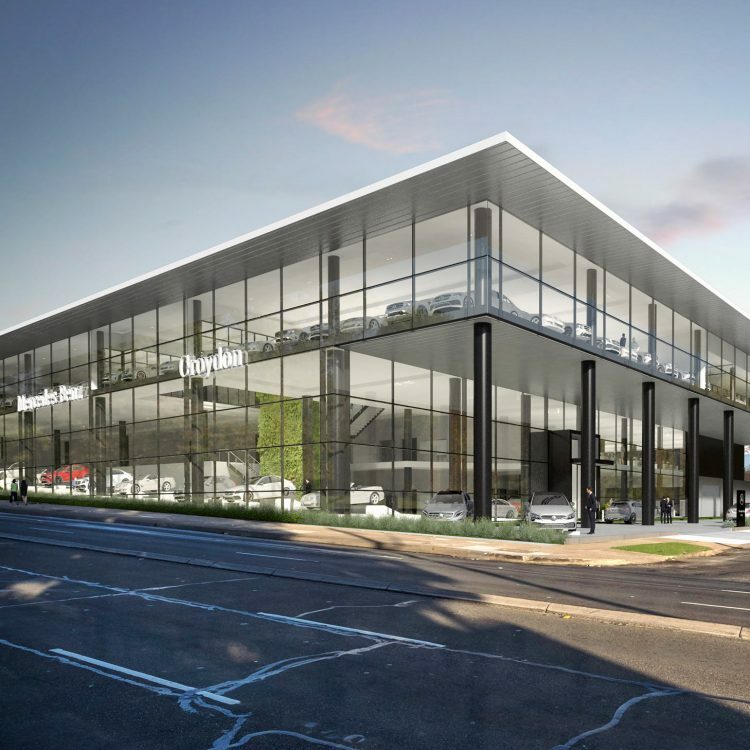 The building is designed to be highly visible from Parramatta Road displaying the brand values through an elegant, transparent façade. 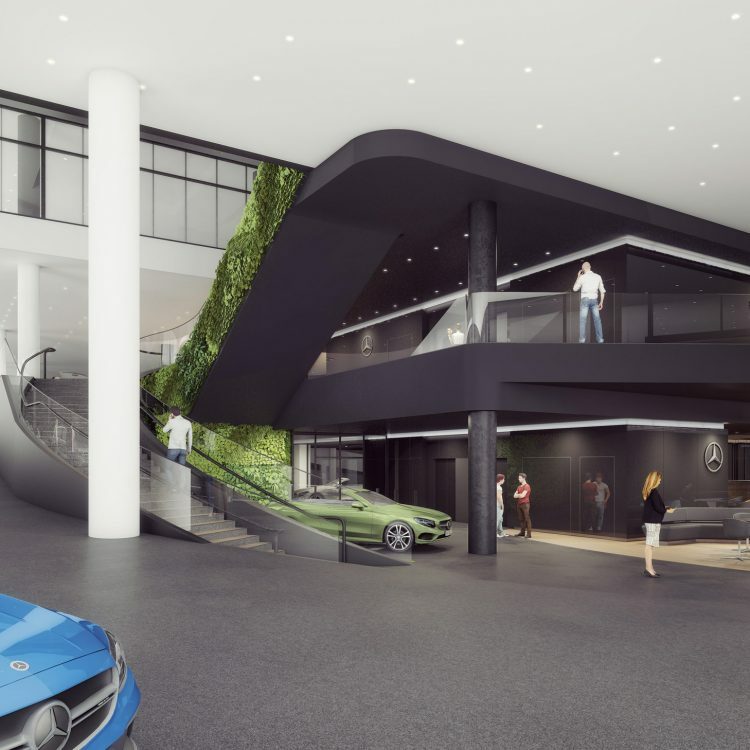 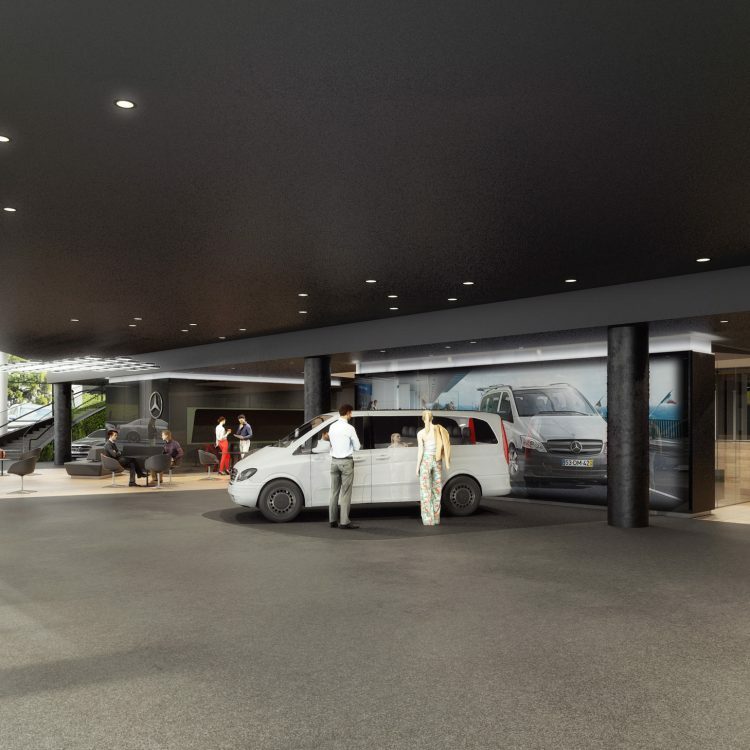 The fall of the site along Parramatta Road is brought inside to dramatically connect different showroom areas with an innovative gallery ramp. 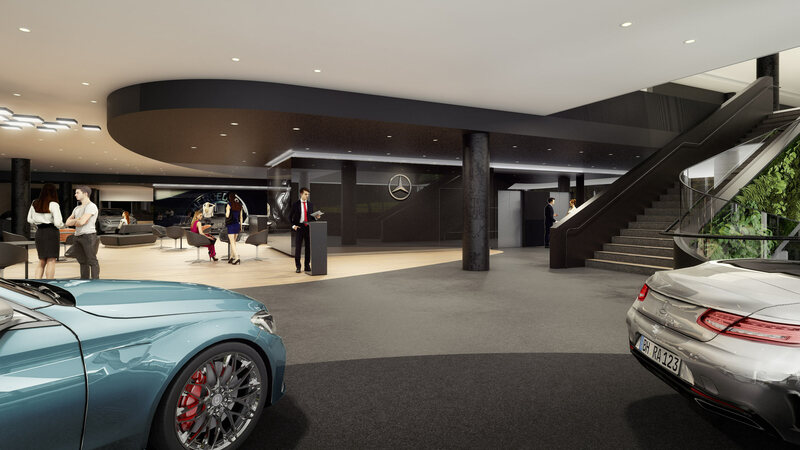 The internal spaces and finishes are designed to heighten customer experience with theatrical staging and integrated media technology.